The ElectroLight day pack from Lewis N. Clark is not only super lightweight, but it also includes an RFID-protected pocket for your credit cards as well as compartments for smaller items like flashlights and cell phones and larger items such as clothes and shoes. It's great for day trips and hiking alike. The ElectroLight day pack from Lewis N. Clark is not only super lightweight, but it also includes an RFID-protected pocket for your credit cards as well as compartments for smaller items like flashlights and cell phones and larger items such as clothes and shoes. 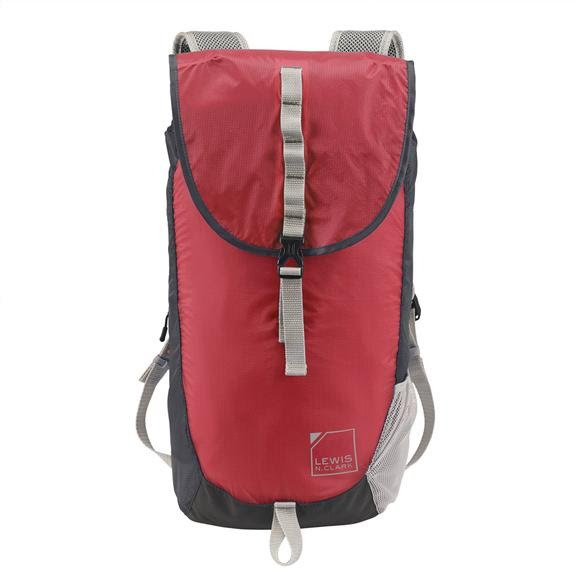 It&apos;s great for day trips and hiking alike.